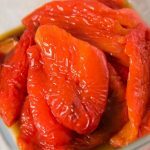 Learn How to Roast Red Peppers – Roasting red peppers is quick and easy; you can use this for salads, sandwiches, and even soups and sauces. 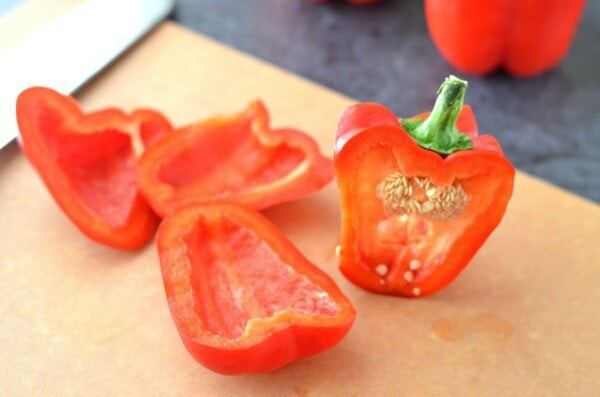 Today we’re showing you how to roast a red pepper without making too much of a mess and not too much stress either! Some may just char the red peppers on a gas stove top, but that can torch the pepper and result in a burnt taste and an undercooked roasted red pepper. Why cut up peppers instead of keeping them whole? Pepper seeds are slightly bitter, and most find the taste unpleasant, so for that reason, we cut up the peppers and remove the seeds and stem before roasting peppers in the oven. Once you roast the peppers in the oven, they become very soft, and the seeds go everywhere. We cut up our peppers prior and find it’s easier to remove the seeds this way. When cutting up the peppers to make roasted peppers I cut more than we will roast, so we have some for a snack now and later. Roasting peppers is the same method for any color pepper, not just red peppers. 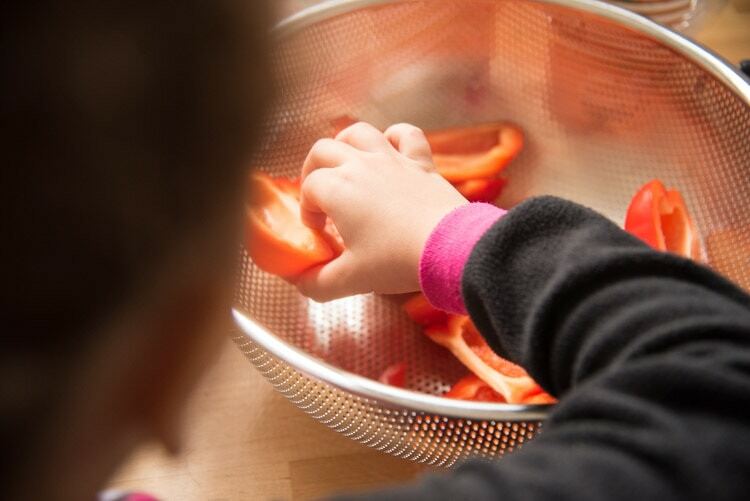 First things first, make sure you have a designated cutting board for fruits, vegetables, poultry, meat, and fish. To roast peppers, it’s pretty simple, but first, preheat your oven to 400. 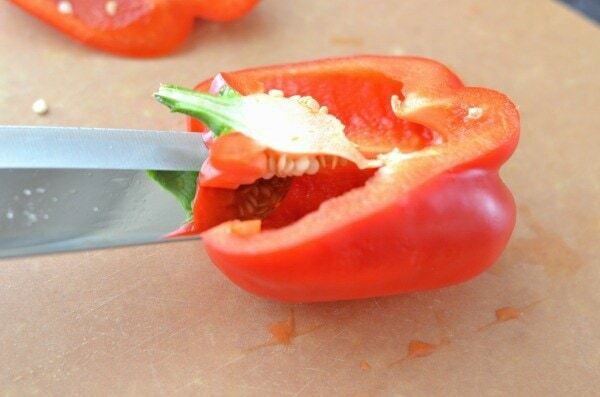 Now you need to wash and cut your peppers. I like to hold on to the stem and cut down with my knife and get good size pieces. 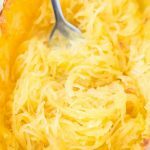 I leave the stem and seeds intact – no mess! Trim off the rest, and you have a great snack! 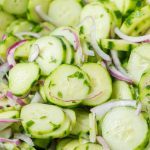 Another way is to cut in half and then remove the stem – this way is a little messy and more time-consuming. Once you have your peppers all cut up and ready line a cookie sheet with parchment paper or a Silpat. Arrange them skin side up. You’ll want to make sure you’re using a pan that can be cleaned up quickly, or just place a piece of parchment paper or Silpat down. You can either roast the peppers whole or cut up them up and place cut side down onto the silpat. Now you can do one of two things, you can either evenly spread oil all over the peppers using your hands, or you can do what I do, I purchased an Olive Oil Sprayer , and it evenly coats the peppers with olive oil that I fill it with instead of buying a can. Much more cost effective! You’ll then place your cookie sheet into the oven for 30-40 minutes. I take them out as soon as I see more than one pepper is a little charred. I like them to be a little tender and not thoroughly cooked down. By cooking them in the oven we prevent the pepper from completely charring, we prefer the sweetness of roasted red peppers, not the burnt/smokey flavor. How to Roast Peppers on the Grill – Place your peppers directly onto the grill plates. You’ll want to cook your peppers about 2 minutes per side and keep turning until they are charred on all sides. Once they’re done, you can peel off the skin. The skin will be black/charred, and peppers will have a smokey, slightly burnt flavor. 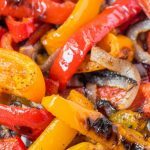 How to Roast Roast Peppers on Stove – Just like you would on the grill, you’ll do it on your stove top the same. In this case, it’s the burner plate instead of the grill plate. We suggest doing stove top only if you have a gas oven. We usually just let our peppers rest after roasting and peel them without an issue. Just make sure they’re cool to the touch before handling. 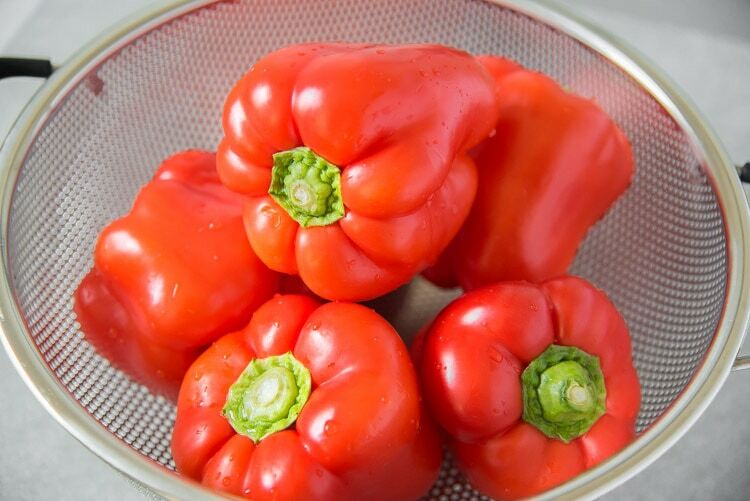 If you have an issue peeling your peppers, you can place them into a large bowl and cover with plastic wrap, allowing it to steam the peppers a little. Once the peppers are cooled down a bit in the bowl, they should be easy to peel. 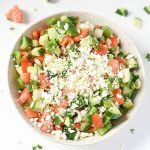 A great way to enjoy them on their own is to cover the oven roasted peppers in olive oil and place into a fresh salad, sandwich, or just eat them without olive oil if you’re looking for a healthier option. We hope you enjoyed this tutorial and start making them from scratch at home too! Once you make these, you’ll instantly be hooked and make them often, we don’t blame you — these roasted peppers are delicious! 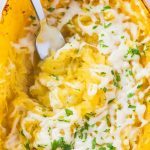 They are exceptional for adding tons of flavor to any dish. 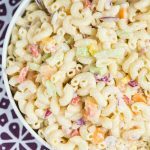 They are perfect sandwiches, in salads, with pasta, and even on their own. 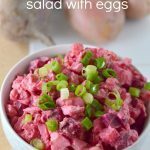 I love making a huge tray of them and keeping them in the refrigerator for the week. 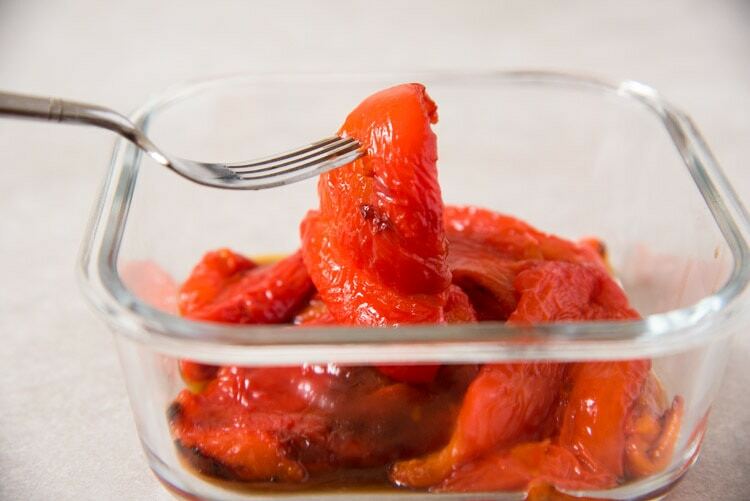 Here are a few recipes using roasted red peppers. When buying red peppers or any pepper for that matter, we always purchase organic! Most if not all our produce that we buy is organic. If we can’t find it organic, we go for local. Bell Peppers are a part of the dirty dozen, so that is why we suggest that you purchase peppers that are grown organically. 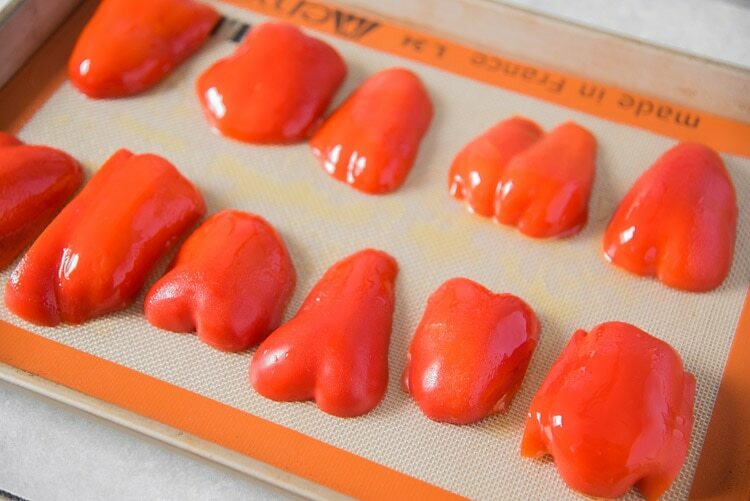 Learn how to make roasted red peppers right at home easily in the oven. 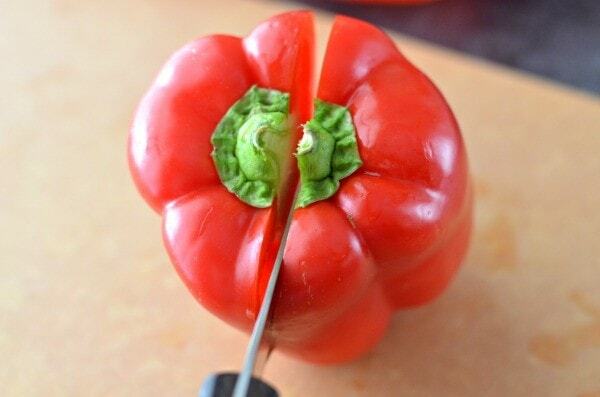 Cut red peppers into large pieces. Once you cut up your pepper place it onto a lined cookie sheet. 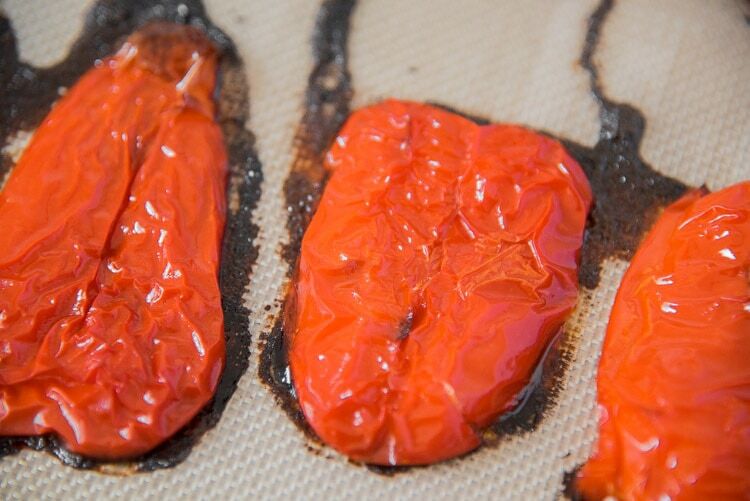 Spray peppers with olive oil and bake for 30-40 minutes, or until peppers reach desired texture. For a firmer pepper cook less, for a softer pepper cook longer. « How fresh are your apples? They could be over a year old. I love freshly roasted red peppers! They beat the jarred kind every time! 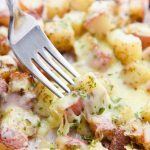 A great cooking skill everyone should know!